In the wake of hurricane Sandy, many organizations and groups have shown unfathomable support and donations to those devastated by last month's storm. 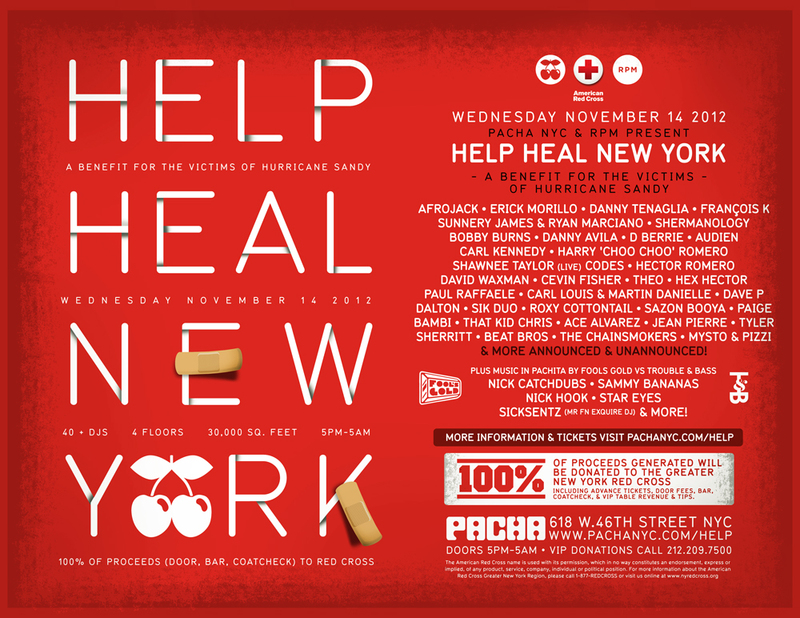 Add Pacha NYC and RPM to that list, as Help Heal New York: A Benefit For The Victims Of Hurricane Sandy was announced last week to take place at the New York City venue tomorrow, November 14th. Though most of the city is back up and running, surrounding boroughs and areas like the Far Rockaways and Staten Island are destroyed, leaving families homeless and stranded. Taking advantage of the ability to run at full speed, Pacha NYC is throwing this massive event to donate 100% of admissions and donations from the night to benefit those still in need. Over 20 acts were announced to initially perform free of charge during the 12 hour event, featuring acts from Audien, Carl Kennedy and NY native Danny Tenaglia to live performances from the likes of Shawnee Taylor. But yesterday, on top of the still unannounced performers, Pacha announced that Afrojack and New Jersey native Erick Morillo will be headlining the event. Both producers are at the forefront of dance music at the moment, and will be making history tomorrow for the sake of helping others. This is one of the fastest events we've seen to gather such a huge line up with such short notice – and tickets are still available with a suggested donation of $40, with food and clothing accepted as donations as well. 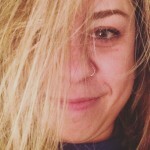 It's yet another example of how quickly the dance music community can come together for the sake of good.